When it comes to your fitness aspirations, there’s a margin between your current level and your full potential. Whether it’s playing sport with your youngsters, keeping up with your partner in an active pursuit, or achieving your Personal Best in a lifestyle hobby, the gap between “good” and “great” is a gap Power Plate is designed to help you close. Athletes all over the world acknowledge that preparation and recovery are key with any training session. So too in daily living. Using Power Plate is a quick and highly effective way to warm up before your activity, and recover afterwards, as well as being a very time-efficient way of stimulating muscle activation. Activating your muscles before activity prepares your entire body for efficient movement, increasing range of movement and making you ready for any anything. Using Power Plate for balance and strengthening by making more muscles do more things more often, gives you remarkable performance gains by improving strength, co-ordination and control, and speeding up your reactions. Increasing blood flow and lymphatic circulation allows your muscles to recover faster, improving heart health, promoting relaxation and also reducing potential injury. Since I have been working out on the Power Plate machine I feel my circulation is much better and so is my balance. I especially appreciate the massage techniques after my workout. I can only say that I am grateful for the improvement to my wellbeing and fitness. 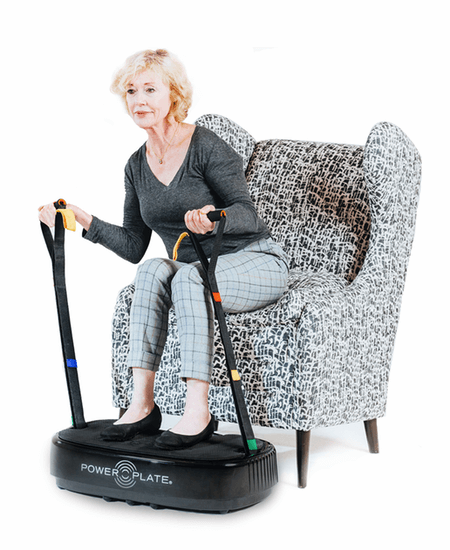 I have been using the Power Plate machine approximately three to four times a week since mid-January and find the leg strengthening exercises very beneficial. There has been a definite improvement and my leg muscles feel stronger. I will continue to use the Power Plate for a simple routine set of movements. I am so grateful for the Power Plate machine’s being at Greenwood Park. I had a fall a few months ago, and I have a hamstring injury which gives me a lot of pain. Since I have been working out on this from three to four times a week it has improved. Provided I keep the work up on the Power Plate machine the condition is tolerable and I sleep much better and can sit for longer. I also feel that the machine is helping with my balance. Thank you for whoever provided this. 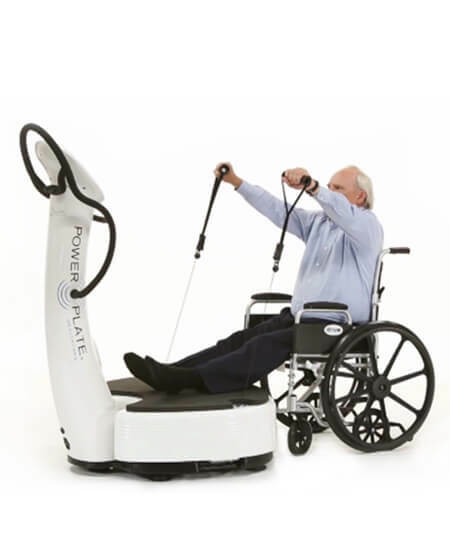 Left leg is weak as part of a stroke, exercising on Power Plate has helped to strengthen it. I have been suffering now for over 20 years of what they call restless leg syndrome. It is very awkward going to meetings as I just cannot sit still. Even at home trying to watch TV I usually end up lying on my tummy on the floor. These last two weeks I have been able to stay in my chair and last Friday evening at a friend’s place, I never did get up or hardly fidgeted. Another great thing was that at a meeting on Saturday morning from 9.30 till 12.30 I was not embarrassed as I could stay in my chair. I do enjoy the Power Plate and truly trust it will help me even more when I keep using it. I would like to endorse the use of the Power Plate machine in the Centre. 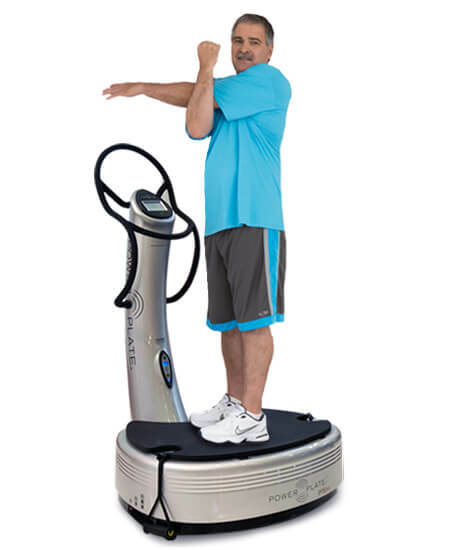 I have had a great deal of trouble walking, over the past few years, and credit the use of this machine with a much improved ability to get around more freely. I use it regularly and appreciate it very much.